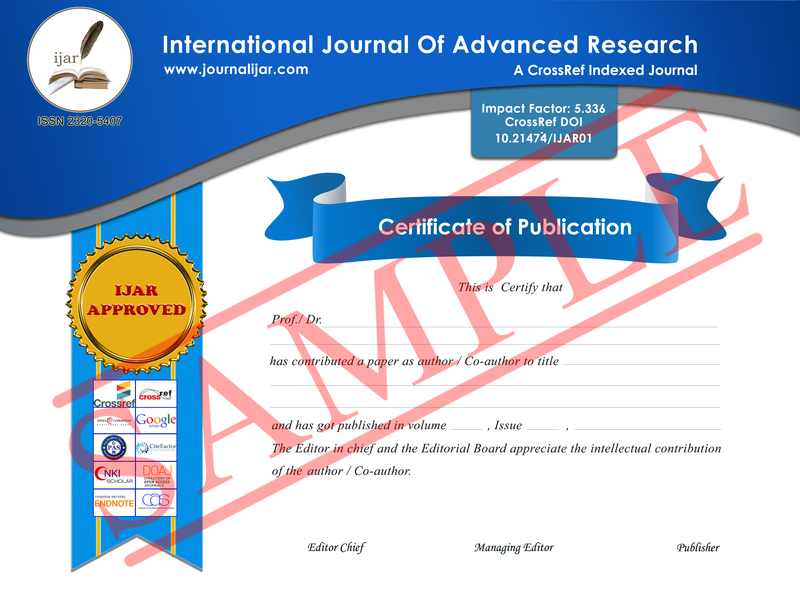 International Journal of Advanced Research (IJAR) regards plagiarism as a very serious offence. It is an illegal form of copying. I have read and understood the IJAR rules on plagiarism. 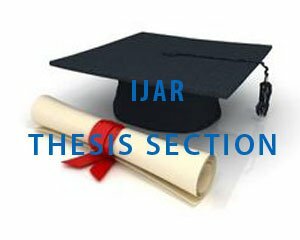 I hereby declare that this piece of written work is the result of my own independent scholarly work, and that in all cases material from the work of others (in books, articles, essays, dissertations, and on the internet) is acknowledged, and quotations and paraphrases are clearly indicated. No material other than that listed has been used. 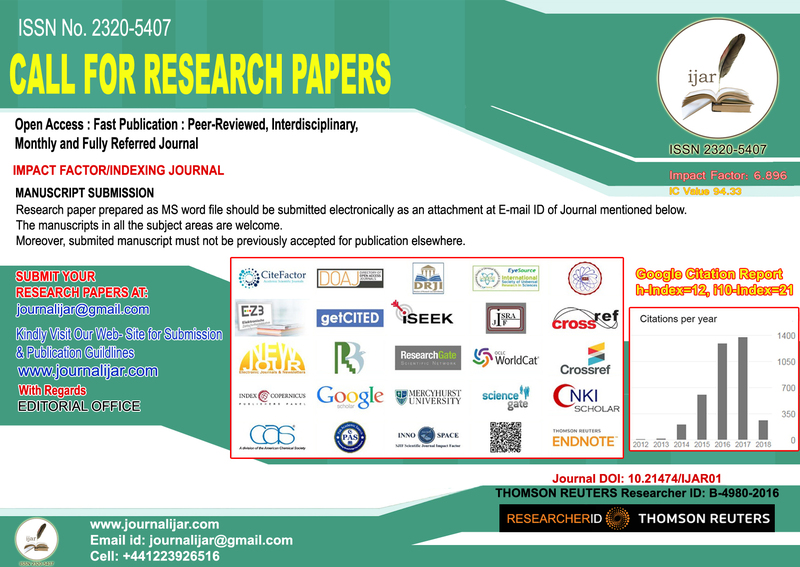 This written work has not previously or not yet been published. When you take notes for a paper, be sure to cite sources so you don’t get mixed up later. If you are really worried, ask your prof if you can submit a rough draft so she /he can check your citations.